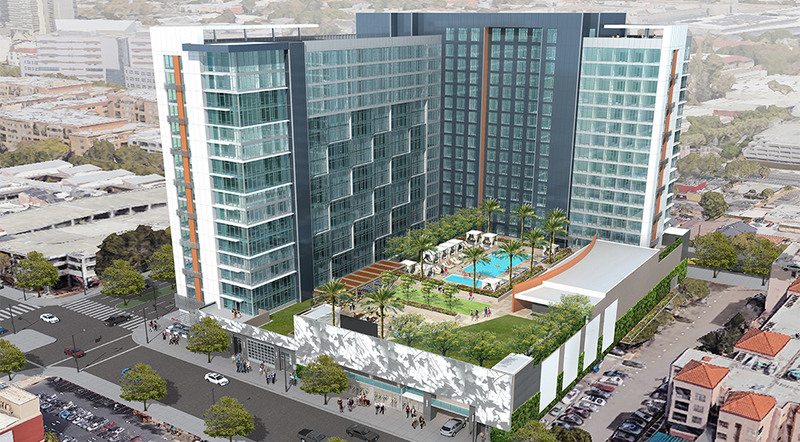 The Graduate is a 260 unit/1,039 bed off-campus student housing project located on a 1.5-acre site, located within one block of the San Jose State University (SJSU) in San Jose, California. 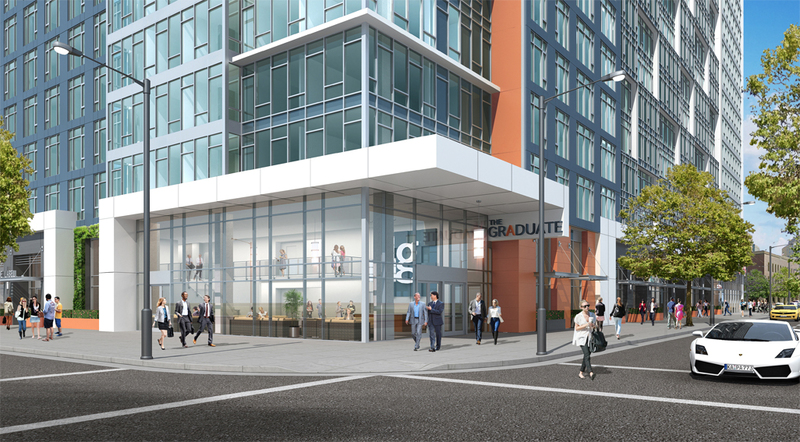 It will be a newly constructed property designed to meet the needs of students and will be located one block west of SJSU and less than 0.5 miles from the central core of the campus. 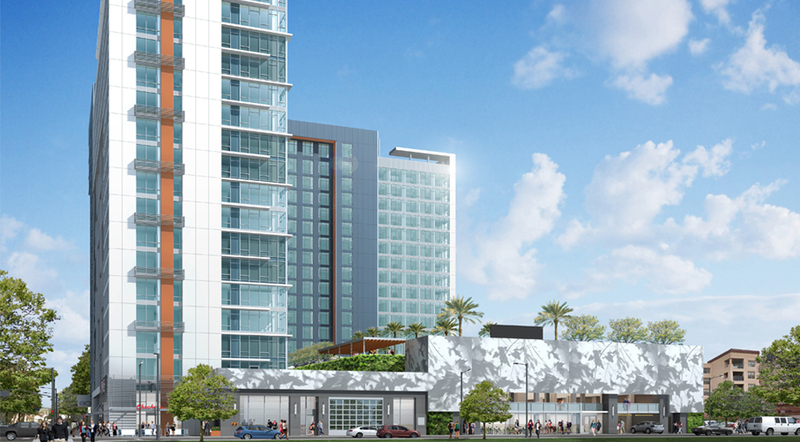 The new community will include an upscale, high-rise, mixed-use building that will offer furnished student housing to the students of SJSU. Most floor plans are designed to give students their own private bathroom, except for one four-bedroom floor plan that will include three baths. 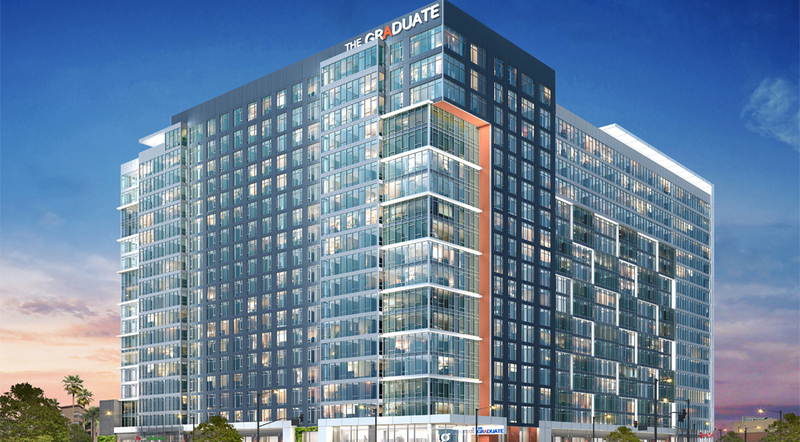 The Graduate will include a three-story parking deck and an amenities deck above the parking deck, on the back side of the high-rise building. The amenities deck will include a building with an exercise center, a swimming pool with sundeck, sports courts, picnic area and landscaping. 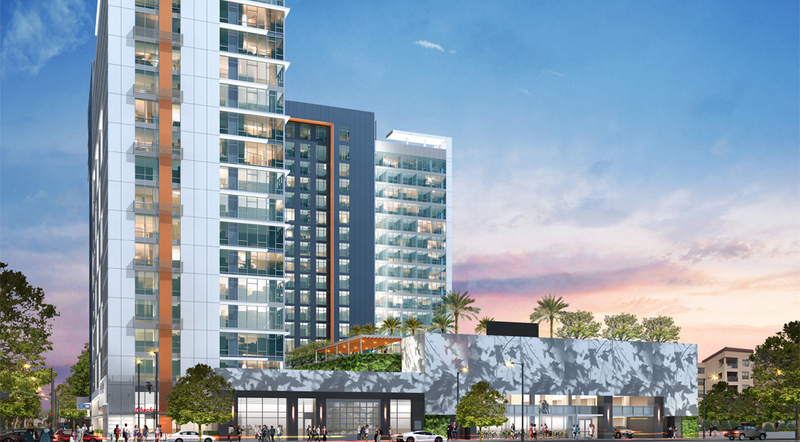 The first floor of the high-rise will include 14,750-square-feet of retail space. The building will have three elevators, a 1,200 square feet management office, building-wide high speed WiFi Internet, common areas for students, and bicycle storage for as many as 575 bicycles, as well as a bicycle repair station. Garage parking will be optional for a fee. The units on the top penthouse floor will share on outdoor terrace with views of the city and campus. The Graduate is expected to be completed in 2020.